Breaking up with a person isn’t easy. Sometimes it doesn’t even matter if the relationship was a short one or a long one, because some relationships are so intense that it hurts just the same. While every couple has their own reasons for splitting up, you still don’t feel great about it – even if you’re the one who initiated the breakup. Imagine what it’s like for celebrities, who spend their whole lives under scrutiny from their fans and the media. Fans follow their every move, and every relationship. So when they break up with someone – not only is their pain incredibly public, but everyone also has an opinion about it. But mostly, they feel exposed knowing their private life and private emotions are out in the open – because everyone knows what it’s like to break up with someone. But as much as you think that’s bad, it can get even worse for actors. It’s said that one should never date their co-stars, and although in some cases that’s worked out great, many cases end badly. If two actors decide to date each other while making a TV show together, they need to consider they’d still have to work together if they split up, and that’s not easy to do. We mean, consider what it might be like having to work with your ex-partner every single day? Or even having to hug and kiss them, performing romantic scenes together and pretending to be in love? Sounds pretty terrible to us. These actors who dated their co-stars ended up deeply regretting it when they broke up and still had to work together, and we can definitely understand why. 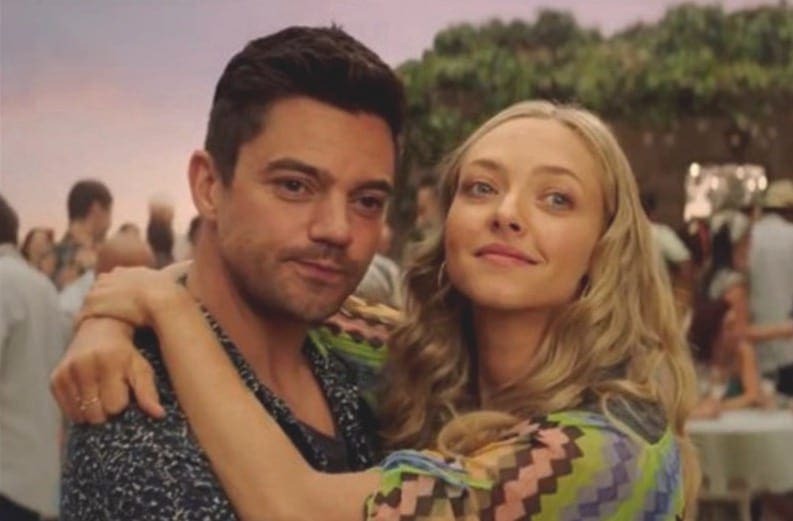 When Amanda Seyfried and Dominic Cooper performed together in the ABBA-based movie musical Mamma Mia!, sparks were flying between them. But their romance eventually fizzled out, which left them feeling awkward when it was time to film the sequel – Mamma Mia! Here We Go Again. Not only that, but Amanda’s husband, The Newsroom actor Tom Sadoski, wasn’t too happy about the exes hanging out on set again. And to make matters worse, famous singer Cher joked that Seyfried “dodged a bullet” when it came to Cooper – and he overheard it. 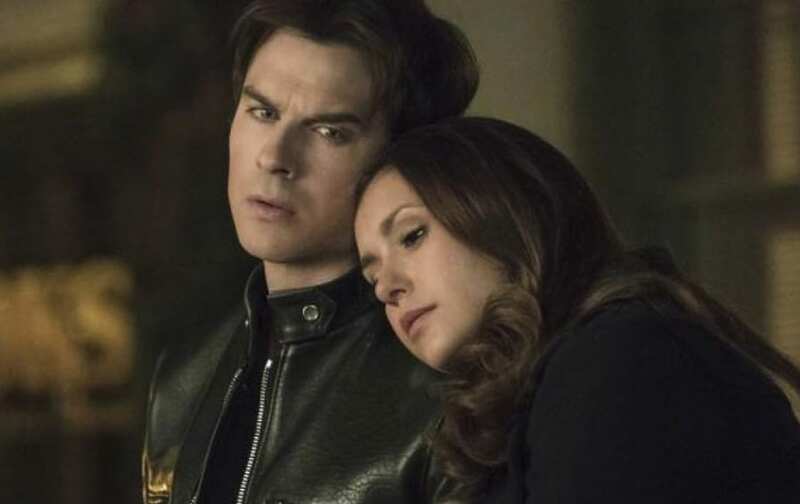 Many fans of The Vampire Diaries were rooting for Damon and Elena to end up together, which is why they were also excited when the two co-stars took their romance off-screen as well. Nina Dobrev and Ian Somerhalder seemed like a great couple, but their relationship didn’t work out. Unfortunately, Damon and Elena were still together, which meant a lot of uncomfortable love scenes for the two, until Nina eventually stepped away from the show. Meanwhile, Ian Somerhalder went on to marrying another vampire – Twilight actress Nikki Reed. Remember when Rachel briefly dated Joshua on Friends? Jennifer Aniston and Tate Donovan were an actual couple, but Tate wasn’t invited on the show until immediately after they’ve quietly broken up. The former couple decided to go ahead with his guest appearance, and had to shoot romantic scenes together while getting over the breakup. “It was horrible. It was so tough,” Tate recalled. “I remember just getting back to my dressing room and just weeping.” To put it in Rachel’s words – that is so harsh! Sophia Bush and Chad Michael Murray not only dated each other off-screen, they even got married. After only a year of dating, they decided to tie the knot. Their quick marriage didn’t work out, and Sophia later admitted she felt pressured into by the public. 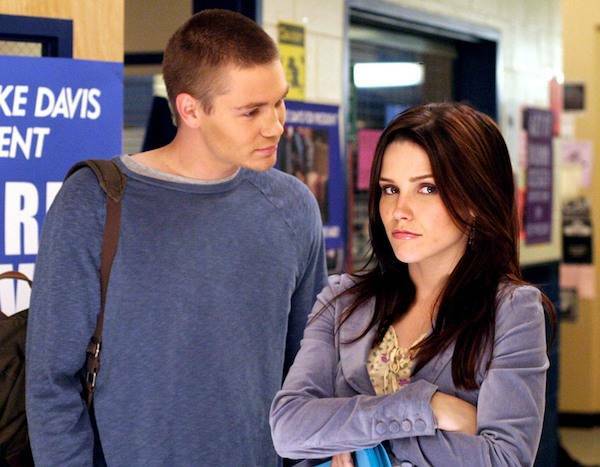 But they still continued to act totally in love for teen drama One Tree Hill, playing Brooke and Lucas. The two managed to do a pretty good job at that, but that doesn’t mean it wasn’t hard – especially after Chad was linked to Paris Hilton. Cameron Diaz and Justin Timberlake had an intense relationship for several years, before splitting in 2007. Gossip columns everywhere were buzzing after Justin’s “What Goes Around … Comes Around” was released, but the two had to put everything aside to collaborate for comedy Bad Teacher. Their love scene in that movie is proof that exes should never do romantic scenes together. It was as embarrassing as it gets, including this incredibly bizarre kiss on the forehead seen in the picture below. When the David Lynch mystery Twin Peaks came back to our screens in 2017 for a sequel season, fans were excited. But everyone was nervous when Laura Dern was cast to play Kyle MacLachlan’s love interest for the new season, since the two have a romantic history together that goes way back to the ’80s. The co-stars managed to deal with it, and even had some laughs about it together – but it was a challenge for both of them. Gossip Girl’s Blake Lively and Penn Badgley weren’t just an on-screen couple, but they had a three-year relationship in real life as well. While they had their bumps along the way, they were always required to keep things steamy between their characters – Dan and Serena. But as both actors had later admitted, it wasn’t easy for them at all. Especially when it came time to shoot the finale, where Dan and Serena were getting married, and Blake and Penn were already broken up. Michael C. Hall and Jennifer Carpenter had one of the most intense relationships. The two were married between 2008 and 2011, and Jennifer stood by him throughout his battle with cancer. However, they decided to split up and had two more seasons of working together on Dexter. 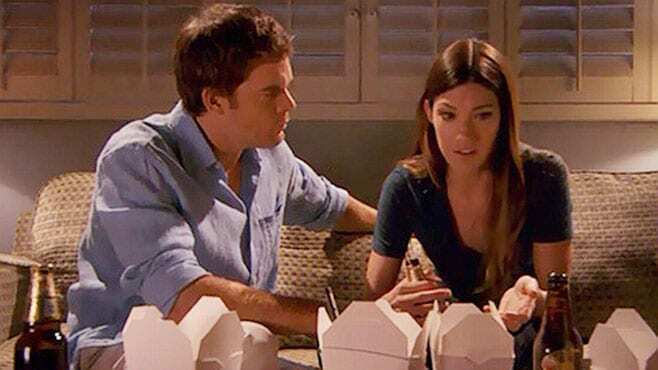 Although they played step brother and sister on the show, they had plenty of scenes together – including one where Debra has a dream about kissing Dexter (which is technically fine since he’s adopted, but is still a bit icky if you ask us). Any fan of the O.C. had to admit that Seth and Summer were one of the cutest couples ever seen on screen. They were the perfect pair – the nerd and the beauty who were actually good friends. Rachel Bilson and Adam Brody were also heating things up off-screen, but as any other couple on this list, they eventually broke up. They still had to keep appearances of being in love for Seth and Summer, especially in the episode where they got married. Jennifer Lawrence and Nicholas Hoult were one of Hollywood’s favorite couples before their breakup in 2014. Their five-year relationship was pretty intense, and it seemed for a while that they were going to get married. But they split just as X-Men: Days of Future Past wrapped up, and not only did they have to do promotional tours together, they also had to another film to shoot – X-Men: Apocalypse. And it had to be pretty awkward, since their characters – Mystique and Beast – were romantically involved in the films. Jennifer Morrison and Jesse Spencer were co-stars in the medical drama House, about the eccentric and brilliant diagnostics expert. While their characters, Dr. Chase and Dr. Cameron, were a couple on the show, the two were also hitting it off behind the cameras. But unfortunately, it never worked out for these two. Their characters, however, were still in love and getting engaged. Although they both left the show for a while, they even had to go back and shoot Cameron and Chase’s wedding later on. Ouch! Nashville star Hayden Panettiere and Gilmore Girls’ Milo Ventimiglia played uncle and niece in the sci-fi drama Heroes, but in real life they were heating things up as a couple. They dated for two years (despite a 12-year gap between them). Their relationship came to its end in 2009, but the two still had to continue working together on the show until it finally ended in 2010. Doesn’t sounds like a fun working environment to us. Have you ever heard of a former couple who voluntarily agreed to work with their ex-partner? Well, Drew Barrymore and Justin Long did, when they took on starring roles in the rom-com Going the Distance. Their real-life relationship was a complicated one, but they remained friends afterwards, which is why they agreed to work together again. And one thing’s for sure, their chemistry on the big screen is pretty great, so it’s lucky that they could. Wilmer Valderrama has a long track record of women he’s dated before he got together with singer Demi Lovato, and Mila Kunis was one of them. In 1999, the That ’70s Show co-stars – who played Jackie and Fez – became a couple in real life. After splitting up, they continued acting for several more years on the show, and even had to endure a plot line involving Jackie and Fez getting together. Mila ended up marrying another That ’70s Show cast member, Ashton Kutcher. You may be surprised, but not many people expected Star Wars to become such a hugely successful franchise. So when it came out, co-stars Carrie Fisher and Harrison Ford were caught up in the fame – and in their own romance. The late Carrie Fisher opened up in her memoir about her fiery affair with her co-star, who was then married to his first wife Mary Marquardt. Although the two ended things, they still had to go on making two sequels together for the franchise. Robert and Kristen were perhaps one of the most talked-about couples in history. They played Edward and Bella, a vampire and human girl who fall in love, in the saga based on the Stephenie Meyer novels. Twilight’s army of fans were hoping the on-screen romance would become a real-life one – and it did. But their relationship couldn’t take the public pressure, and ended after an indiscretion on Kristen’s side. Luckily, the films had already wrapped, but the two had to stand side-by-side for promotional tours, following their extremely public breakup. The world freaked out in 2011, when Megan Fox was thought to be dating both Shia LaBeouf and former Beverly Hills 90210 star Brian Austin Green (who is now Megan’s husband). She was actually broken up with Green at the time she dated Shia, but it never worked out for the two, and they ended up breaking up. And yet, they still had to work on another Transformers sequel together. That was the last Transformers film Megan starred in, as she was reportedly fired and replaced with Rosie Huntington-Whiteley. Although their characters on Teen Wolf didn’t pursue a relationship with each other until the third season, Reed and Sharman were involved in an off-screen romance of their own. They started dating in 2012 and broke it off only a year later, but they still had to work together on the show. And not only that, Reed later revealed that they actually had to shoot an intense romantic scene together following their breakup. Can you imagine? Lily Collins and Taylor Lautner played the starring role in the thriller Abduction, but they were also getting along quite well in real life. Their relationship was almost as high-profiled as the one Robert Pattinson and Kristen Stewart had. But although they seemed pretty much smitten with each other, they called it quits soon after. It was reported that the Abduction premiere party was pretty awkward, and the two then had to endure the rest of the promotional tour together. When filming for the ABC mystery drama Lost began, two of the show’s actors became totally smitten with each other. That would be Evangeline Lilly and Dominic Monaghan, who played Kate and Charlie on the show. The two became involved in a long-term romance from 2004 until 2007, before they decided to split. Apparently, working alongside his ex-girlfriend proved to be too much for the Lord of the Rings actor, who then proceeded to getting himself fired from the show. Sean Penn and Charlize Theron were quite the power couple, and everyone was excited when they got engaged in 2014. That year, Penn was directing the film The Last Face, in which Theron starred. However, they called it quits right after the movie wrapped, and still had to do re-shoots the following summer. When it finally came out, you could clearly see the two were keeping their distance from one another during premieres and promotional tours. 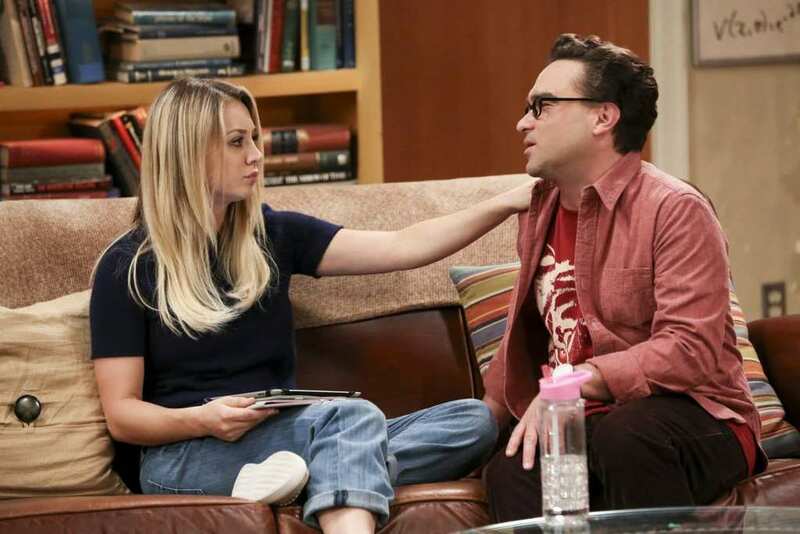 If any ex-couple did a great job at keeping their on-screen romance alive, it’s Big Bang Theory’s Johnny Galecki and Kaley Cuoco. They dated for two years during the show and kept it very low-profile, but it didn’t work out. After their split, they had no choice but to put their feelings aside, as Leonard and Penny’s adorable romance only intensified. With countless romantic scenes and two on-screen weddings, we can’t help but admire these co-stars for their professional attitude – although they have admitted it wasn’t easy.